TCM's Film Noir of the Week Saturday Night-Sunday Morning at 12 a.m. ET (and 10 a.m. ET Sunday Morning) is Angel Face (1953) with Robert Mitchum, Jean Simmons, and Herbert Marshall. Otto Preminger directed. Film Noir Guide says "When casting directors needed someone who could play a handsome but gullible sucker for a dame, did they always check first to see if Bob Mitchum was available? (See especially Out of the Past and Where Danger Lives, which is remarkably similar to this film)." Cast against type, Jean Simmons plays the femme fatale planning to murder her stepmother. 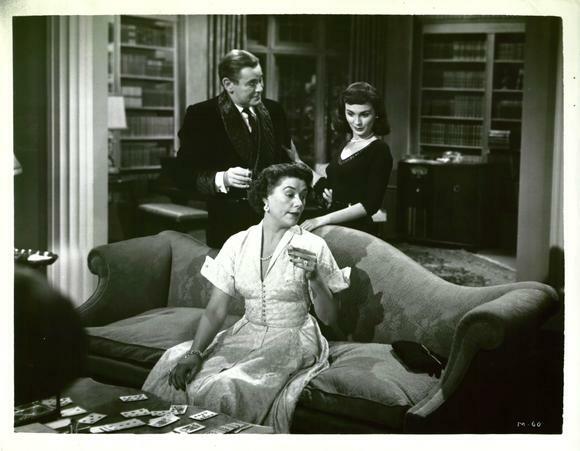 Mitchum's character becomes the family chauffeur-a sap involved in murder. 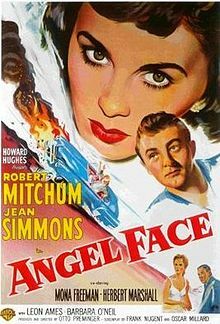 Angel Face has one of the most spectacular endings in film noir. Our host, Eddie Muller, will have info on the film's strange back story. N.S. 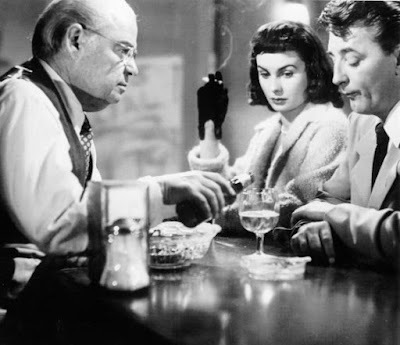 : Speaking of back stories, I heard somewhere that Howard Hughes was so relentless, in his pursuit of Jean Simmons during the 1950s—never mind that she was then married to Stewart Granger—that the couple seriously considered murdering killing the mad tool heir. I now find it odd that Jean Simmons seemed to have the function at the time, of being the poor man’s Audrey Hepburn. Odd, because Simmons was a talented actress, was prettier than Hepburn, and had a shape. Don’t get me wrong. I still love Audrey Hepburn’s pictures, and she was a classy lady, but she had her, um, shortcomings. 20 yr. old Christian Moore was sucker punched by Brandon Deuntrell Frison, Frison also sucker punched Steven Dinh and Bret Christopherson earlier in the day. He's probably getting street cred from all his homeys for how many whiteys he can hit in a day. Note the Oregonian article makes no mention of any possible race motivation, no surprise there. 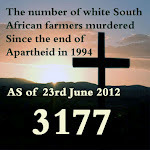 If it comes up at all the media and usual other suspects will bend over backwards downplaying any possible race bias. Remember Conrad Barrett? The white kid that sucker punched an old black man? His story got massive media coverage and he was charged with a hate crime. That story has imprinted itself on the mind of the US public while this wave of black sucker punch hate crimes continues to be passed off as "random violence". Fox reported this, can't find any coverage on any other biggies. This does not jibe with the left's open borders agenda so he will have to be denounced as a racist, but since he has already been anointed as some kind of prophet of peace by the left they only have one recourse, simply ignore him, which I predict they will do. The Dalai Lama hobnobs with celebrities and hustles for cash at every opportunity (has an estimated net worth of 150 million) but challenging the diversity agenda is a dangerous thing to do and could cost him both money, friends and cred in liberal Hollywood. So I believe he is speaking from his heart with true objectivity and not pandering to what should be his support base. Maybe we can get him to convert to Catholicism and have him elected Pope, it would be a huge improvement over the immigrant loving monstrosity currently in office. I didn't see this on FOX--must be a one and done--not repeated.Only here can I see real news,not the liberal coated garbage that's getting produced for the masses.NSU is a site that needs to be on all normal white people's internet destinations. Angel Face is an interesting movie with one hell of an ending.I appreciate being reminded when its film noir time. I enjoy reading about the private lives of actors behind the scenes.Thanks for posting. TCM has a triple header Saturday Night-Sunday Morning. The first two are rough men in conflict. Both against their surroundings and with each other, with the common denominator of Jack Palance. First, at 8 pm ET, is The Professionals (1966) with Lee Marvin, Robert Ryan, Palance, and Woody Strode. Mercenaries are tryig to ave a kidnapped millionaire's wife in the Pancho Villa war. The second, at 10:15 ET, is not often seen, Ten Seconds to Hell (1959), starring Jack Palance and Jeff Chandler as former German soldiers who were bomb disposal experts doing the same job in post-war Berlin. Robert Aldrich directed, a specialist in "tough guy" movies. Aldrich had recently directed Palance in Attack (1956), in which Palance played an American platoon commander contending with Eddie Albert's cowardly company commander. Interestingly, Palance gives much the same characterization in Ten Seconds to Hell he did in Attack. Martine Carol plays a French war widow who Palance and Chandler's characters compete for. This was shot in West Berlin at real locations. By the way, they are still finding unexploded bombs in German cities over 70 years after the war. Somebody better tell the Blogmeister. TCM's Film Noir of the Week at 12 am ET, is The Stranger (1946). Orson Welles directs and stars as a Nazi war criminal hiding in a New England town disguised as a college professor. His blissfully ignorant wife is played by Loretta Young. Edward G. Robinson is a Nazi hunter who tracks Welles' character down. The Stranger is best known for the climax, some don't think it one of Welles' best efforts. TCM's Film Noir of the Week for Saturday Night-Sunday Morning at 12 am ET (and 10 am ET Sunday Morning) is The Gangster (1947), starring Barry Sullivan with Belita, Henry (Harry Morgan), Akim Tamiroff, and John Ireland. Film Noir Guide: "Sullivan plays a neurotic hood who had to fight his way out of the gutter to get where he is. But now he spends all of his time worrying about whether his showgirl friend (Belita) is cheating on him."... "It's overly melodramatic at times, but if you hang in long enough, murder will rear it's ugly head." TCM's Film Noir of the Week for Saturday Night-Sunday Morning at 12 am ET (and 10 am ET Sunday) is Odds Against Tomorrow (1959). It stars Harry Belafonte and Robert Ryan as members of a racially mixed gang planning a bank robbery in upstate New York. Ed Begley is an ex-cop kicked off the force as a crook, who recruits Belefonte and Ryan's characters. Belafonte is a poor black man who has debts he can't pay. Ryan, a big leftist in real life, plays his favorite type of role--A white bigot. See also Crossfire (1947). Christine Blasey Ford: Very Credible! Security Alert to All Readers of WEJB/NSU! Photo: Cory Booker Exposed as a Neo-Nazi! New York Bar's "Racist" Dress Code? Funny Video: Trump, Reporters, and Dogs, Oh My!